Maybe you’ve heard foam rollers mentioned and are curious about their use and availability. Maybe you’ve seen them at the gym and want to learn more. Or maybe you think this article is about hair rollers and are interested in that grooming essential. We can’t illuminate you on the last point, but if you’re interested in foam rollers for exercise and muscle recovery, you’re at the right place. Growing in popularity for quite a while, foam rollers have broken their original confines in yoga and Pilates and you can now see them everywhere from the physical therapist’s office to the local mini gym and they are available in all shapes, sizes and colors. So, they are colorful, available and trending, but why should you be interested in them? The primary uses for form rollers are exercise and muscle recovery. For exercise, many people use the rollers for balancing and muscle-building activities. For example, you can rest your hands on the roller for push-ups, hip-lifts and stationary yoga poses to add challenge and reduce wrist pressure. Therapeutic uses include self-massage, tension/stress release and breaking up fascia, which is the connective muscle tissue network, which promotes flexibility. These two major aspects of foam rollers render them an attractive addition to your home gym/recovery room and there are many choices to consider. In this article, we will take a survey of ten foam rollers with their distinctive characteristics. Just because the rollers have advertised or common usages, that doesn’t mean that you must limit your use to those purposes. You may find that the biggest selling therapeutic roller is your favorite exercise companion or that the top-of-the-line exercise roller is ideal for your pulled calf muscle. Don’t feel you need to follow the advertising or rules when you purchase a foam roller. Experiment with it and make it a tool you use as you want. Let’s start with a basic foam roller. By basic here, we mean a multi-purpose foam roller of standard size that you can use therapeutically, for exercise and for stretching. A good example of such a product is the AmazonBasics High-Density Round Foam Roller. The 36-inch model is a standard size and convenient for many activities. This particular roller is made of molded polypropylene which makes it strong enough to maintain its shape and firmness over many repeated uses. It’s light, weighing less than a pound, so it’s convenient for moving around the house or carrying to classes and at 36-inches, it has the length you need for full-body exercise and massage. Many people like these long rollers for full-body stretching by simply lying on the floor with their backs on the roller. You can use it for smaller muscle groups, though a shorter roller may be preferable for arms. It lacks any kind of raised ridges or points that can improve deep muscle massage, though such protrusions can also be too harsh for many people. This lack of definition on the surface also means that slipping off-center of the roller is more possible. The Foam Roller for Muscles 2 in 1 Combination by Potential Energy Fitness is a more advanced version of a foam roller for a price similar to the AmazonBasics model. For this variation, it offers a 2-in-1 system in which a massage roller nests inside a flat roller. This design has much in its favor. At only 13 inches long, it fits easily into many gym bags or even your luggage if you can’t face a vacation without your foam roller. It weighs over two pounds, which is twice the heft of the AmazonBasics roller, though still a modest weight. The innovative 2-in-1 design enables your choice of flat or ridged surface for your exercise and recovery activities. Additionally, the cool nesting feature doubles the available features while minimizing the space consumed. The shorter length is less than ideal for the back attention so many people require. You can’t stretch yourself out on this shorter roller as you can with longer models, but that is easily balanced against the more compact size. Though not a 2-in-1 device, the LuxFit Speckled Foam Roller by LuxFit is inexpensive enough that you can purchase two or more sizes to meet your needs. 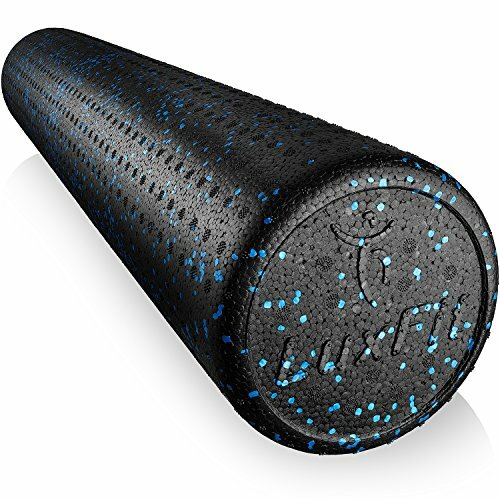 This roller has an attractive blue speckle pattern, which in no way impacts performance, but is an attractive variation on an overwhelmingly black and blue foam roller world. The dimple-covered surface provides a modest variation on basic, flat rollers. This is a good way for the novice at self-massage to experiment with minimal muscle stimulation or stretching to learn what their body can tolerate. You may find it useful to keep at least two sizes at home using the larger for exorcise and large muscles and the smaller for smaller muscle groups and to take out of the house for classes. Durable, with a three year limited warranty, LuxFit is offering a foam roller you can take a chance on with confidence. The Freory 3 in 1 Foam Exercise Roller by Freory takes another step in the direction of economy of space, versatility and convenience by nesting two rollers inside the flat, exterior roller shell. Without breaking your foam roller budget, you can purchase the Freory for less than a lunch at Red Lobster and since it has multiple uses for each section of the product, it may be a better investment that unlimited shrimp. The exterior roller is a flat, 18-inch roller, suitable for most exercise needs, though perhaps a bit short for back and neck work. The second tool is a rigged roller, appropriate for exercise, massage and stretching for all muscle groups and the interior section is a deep tissue massage stick similar to those we all saw Olympians using on the sidelines of big races or while on deck for the next phase of the gymnastics competition. The genius who designed these three tools to occupy the same space well knows how we value space-saving devices. Not only are the rollers attractive, the gray/blue/black design is current and fashionable. Gaiam, an old name in yoga supplies, offers their own well-reviewed foam roller: The Gaiam Restore Deep Tissue Muscle Massage Foam Roller. Backed by a long-established company patronized by professionals and non-professionals, this roller has several attractive features. First, its shape and size are a great match for both exercise and massage. 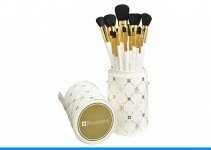 Second, it won’t break the bank though manufactured by a known name in the industry and third, you can choose from three color choices. If you want a versatile, long-lasting roller without complications but backed by a star performer, this is a good choice. 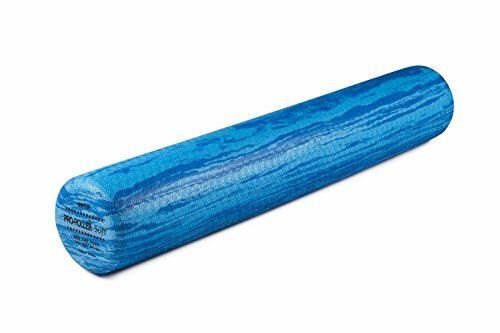 For beginners or those with more delicate muscles, the OPTP PRO-ROLLER Soft Density 36” x 6” Foam Roller by OPTP may answer. Offered in a cheerful pool-side blue, this roller offers exercise support and gentle massage. At 36 inches, it’s large enough for any standard foam roller activity and its summer coloring can provide a jolly, visual cue to exercise. The ProSource Sports Medicine Foam Roller is another strong, multipurpose roller, emphasizing the effort recovery and preparation aspect of foam roller use. Its varied surface offers differing pressure, so you can adjust which parts of the surface are the best match for your needs and muscle groups. Offered in several bright colors as well as black that, it seems, everyone must offer, it’s a good choice for massage beyond a flat roller and supports all exercise needs. Now let’s talk deep massage; bring on the Rumbleroller Deep-Tissue Massage Roller by Rumbleroller! This foam roller looks like it escaped from a monster truck mud competition, though in reality the knobs that cover the entire surface of the roller are flexible and softer than the body of the roller. As seen from the appearance of this massage master, it cries out to be your self-massage of choice and has interesting design features to support that claim. For example, you can use this roller in water such as a shower or hot tub, enabling you to aid the massage by the addition of warm water, long acknowledged to comfort muscles. Though the roller is firm, the knobs are flexible though not soft. Novices at self-massage or muscle rolling may find this too much of a good thing. However for the established user, this roller may be the last you ever purchase. The strong shaft supports multi-directional rolling and you can vary the pressure by supporting your muscles or full body with your hands, allowing more pressure to tight or injured muscles and less to other muscles. Yes, the Rumbleroller is equal to your exercise needs as well, but the design indicates that the massage functionality is the selling feature. The interior is a flat roller in very trendy lime green and G2 includes a cute draw-string pack for carrying your roller all over town. Adding value with information, this set includes an e-book and eat fit guide, which is a great deal of information for the offered price. 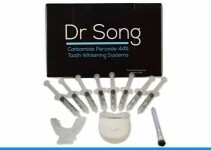 Supported by 100% satisfaction guarantee, this is an attractive package in the mid-range for similar products. 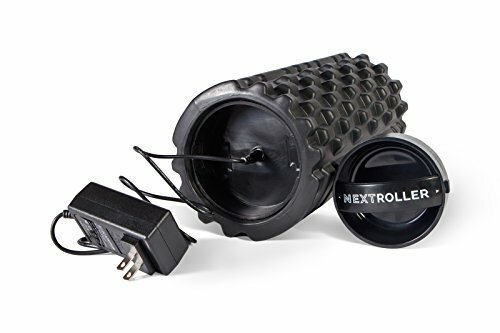 Moving away from the exercise function to concentrate on therapy, the NextRoller 3-Speed Rechargeable Electric Vibrating Foam Roller by Nextroller adds vibration to its existing varying surface massage features. Nextroller provides three power levels so you select how much vibration to apply to your muscles. Designed for use in and out of the house, the fully charged NextRoller operates for two hours before requiring recharge. Supported by a 100% one year warranty, which is pretty good as vibrating products tend to be short-lived. 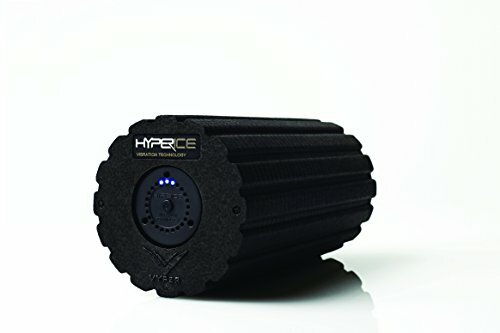 For those of you who must have the Cadillac of vibrating foam rollers, consider the HyperIce Vyper – 3 Speed Vibrating Foam Roller for Muscles. Known for both power and top-notch massage, the HyperIce Vyper is commonly used by professional athletes, trainers and massage therapists; it is a gym staple and is backed with a one year guarantee. There is no information on roller-to-roller comparisons particularly in the vibration feature category, but such a match-up would probably be of little use. There is a great deal of personal preference in foam rollers combined with the user’s size, weight and level of fitness, so opinions will always vary. How long Should You Use A Foam Roller For? How Often Should You Use A Foam Roller?